Bill Walczak brings a different sort of resume to a race thus far dominated by candidates who hold elected office. 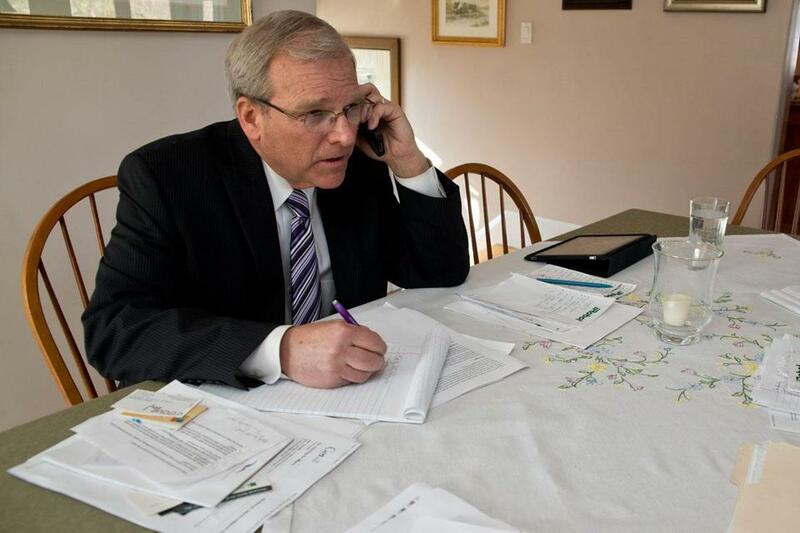 Longtime community organizer Bill Walczak gathered two dozen friends, family members, and close business advisers in the living room of his Savin Hill home Saturday morning so they could deal him a dose of tough love and hard questions, and perhaps sway him from a mayoral run. Instead, their enthusiastic support sealed the decision: He is entering the race for Boston mayor, Walczak said in a phone interview Saturday afternoon. After decades leading a community health center, charter school, and hospital, he said, the next logical step in a life devoted to helping his city is to hold its top job. A 40-year Boston resident and co-founder of the Codman Square Health Center, Walczak becomes the fifth major declared candidate in the race to replace 20-year Mayor Thomas M. Menino, who said last month he will not seek a sixth term. With a resume stacked with community organizing experience at both the ground and board room level, Walczak brings very different credentials to a wide open mayoral race thus far dominated by candidates who hold elected office. Walczak, 58, has spent the bulk of the past 30 years doing community work in Dorchester. In 1975, as a 20-year-old, he co-founded the Codman Square Health Center, for which he has since raised more than $70 million. The health center, which now employs more than 300 people, is widely regarded as a source of revitalization for a once-depressed neighborhood. He is currently president of the Codman Academy Charter Public School, which he co-founded, and vice president at Shawmut Design and Construction, where he represents the company before government and community groups. One sensitive turn in Walczak’s career progression was his shaky stint at the helm of the Carney Hospital, part of the Steward Health Care System, from 2011 to 2012. He left the Dorchester hospital’s top job suddenly after 14 months, and neither he nor hospital officials have disclosed why he departed. But Walczak remains widely respected among both Boston’s business leaders and community organizers and joins a mayoral field that is swiftly growing. Four elected officials have entered the race so far: Suffolk District Attorney Daniel F. Conley; city councilors John R. Connolly and Rob Consalvo; and state Representative Martin J. Walsh. Two other candidates — Will Dorcena, co-founder of the Boston Haitian Reporter and former city council candidate, and Charles Clemons, co-founder of TOUCH 106.1 FM — have also said they are running. Several others, including a handful of other city councilors, have said publicly that they are considering a run. Walczak’s candidacy could complicate things for other mayoral hopefuls relying on Dorchester voters to contribute to a winning coalition, and Walczak said he personally called several other candidates, who had previously asked for his support, to let them know he is running. Walczak said the idea of running for mayor first occurred to him decades ago, but he had no desire to run against Menino, who he believes has been a good mayor. Once Menino announced he would not seek another term, Walczak said he began consulting family members, business associates, and community leaders throughout the city about the possibility of running for mayor. Those conversations culminated Saturday morning with the living room summit, which brought more than 20 community leaders into his home to gauge the level of support among various neighborhoods for a mayoral run. Attendees said Walczak confidently answered their prompts about his experience, campaign plans, and vision, and that he listened intently to their feedback throughout the conversation, which was facilitated by his daughter, 29-year-old Elizabeth, who works for Boston After School and Beyond, a public-private partnership that provides programming to Boston schools. His lengthy job and volunteer resume, as well as decades of diverse experiences working throughout many Boston neighborhoods, should make Walczak a contender, she said. Walczak said he plans to fine-tune his message and platform in the coming weeks, adding that he wants it to develop as he continues to talk to those in the communities he hopes to govern. He will have to quickly begin raising campaign funds. Supporters, including former Boston elementary school principal Emily Shamieh, say those community roots are what makes him the right choice. Andrew Ryan of the Globe staff contributed to this report. Wesley Lowery can be reached at wesley.lowery@globe.com and on Twitter @WesleyLowery.